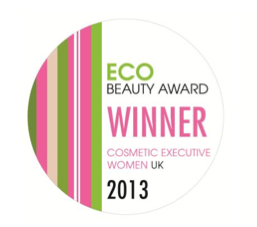 One of the highest accolades in the beauty industry is to receive a CEW(UK) Beauty Award, and this year the Eco Award went to Melvita’s best-selling Rose Nectar collection. As well as loving the range, which is extremely hydrating, the judges took into account Melvita’s unique commitment to sustainability, for example in the selection of product packaging and programmes to encourage recycling when the product is used up. My personal favourite in the range isthe Fresh Micellar Water in the range, a gorgeous product with a 3-in-1 formula so it removes make-up, cleanses the skin and also tones it. It contains wild rose petal extract and rose floral water, making it extremely hydrating and moisturising. Just splash it on and watch your skin glow. A big congratulations to Melvita for continuing to launch outstanding ranges whilst caring for the environment. For more information go to uk.melvita.com. This entry was posted in Competition, Ethical, Skincare, Wellbeing and tagged best-selling, CEW(UK) Beauty Awards, Melvita, Rose Nectar, sustainability. Bookmark the permalink.